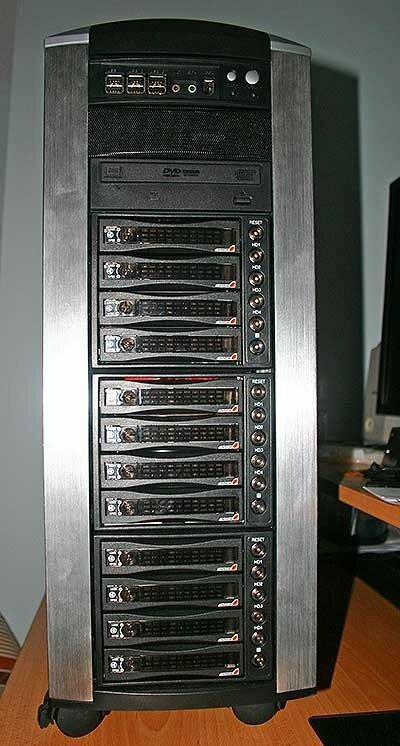 One of our hardware reviewers Steve Crick bought to my attention a post from AutomatedHome.com from back in August where they pictured a 20 Terabyte Home Server comprising 17 hard drives. Wow, that’s a lot, or can you do better? …believe it or not that’s quiet enough to have running in our spare bedroom and I’ve slept in that room with it running away, and although it’s by no means silent it’s not loud enough that it disturbs me sleeping. This one beats it. But not by much. 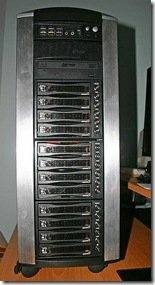 Better hurry and add another 2 TB drive to keep on top, Phil!